This pump was designed to allow safe and simple adjustment of the front and rear air suspension on Touring motorcycles. 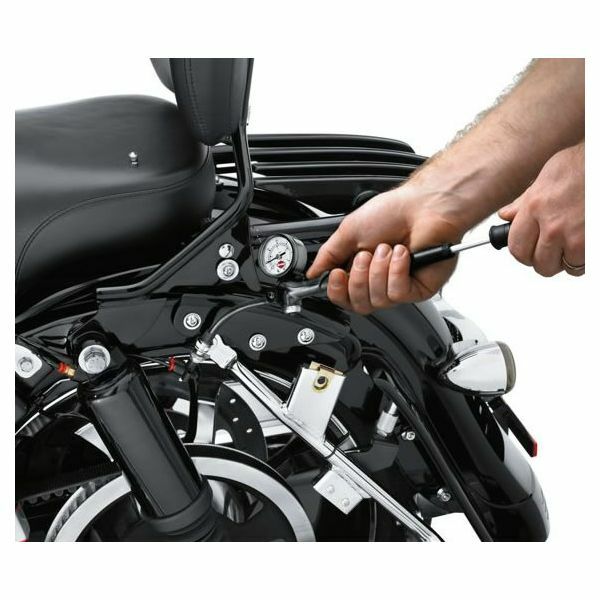 Unlike a bicycle pump or a fuel station air hose, the hand operated pump with controllable "micro bleed" valve allows precise adjustment to air volume, and the "no loss" air connector maintains shock pressure when the fitting is removed. 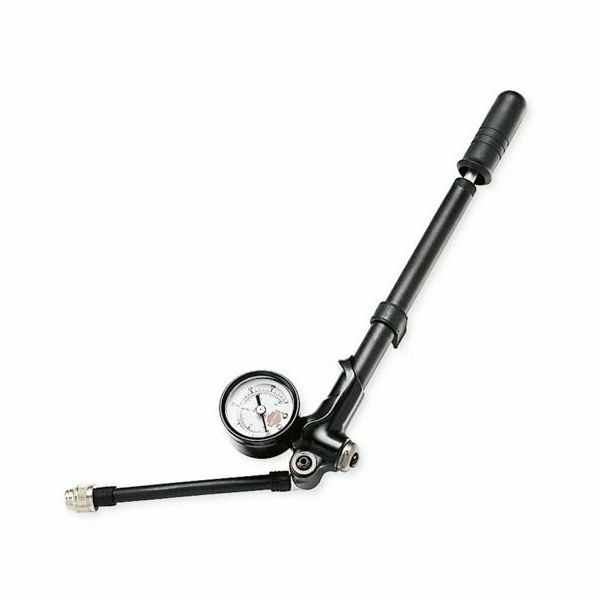 54630-03A for use with Touring air suspension components.